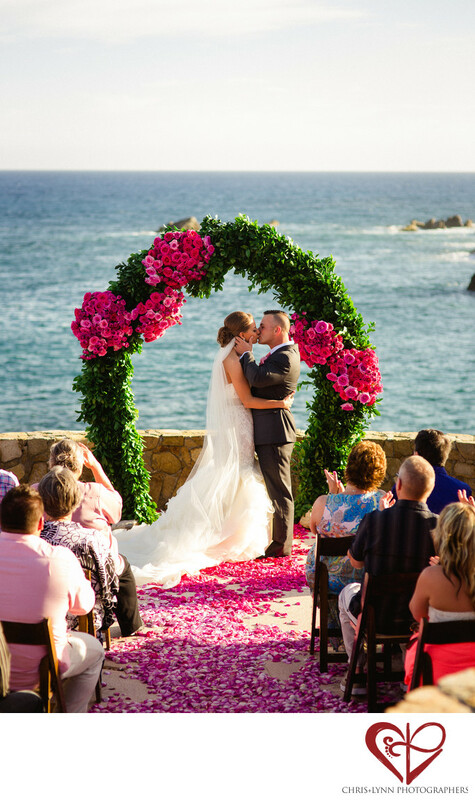 Esperanza Resort Wedding, Los Cabos Mexico | First Kiss as husband and wife! What an amazing location for a ceremony overlooking the ocean! 1/800; f/2.8; ISO 200; 85.0 mm.